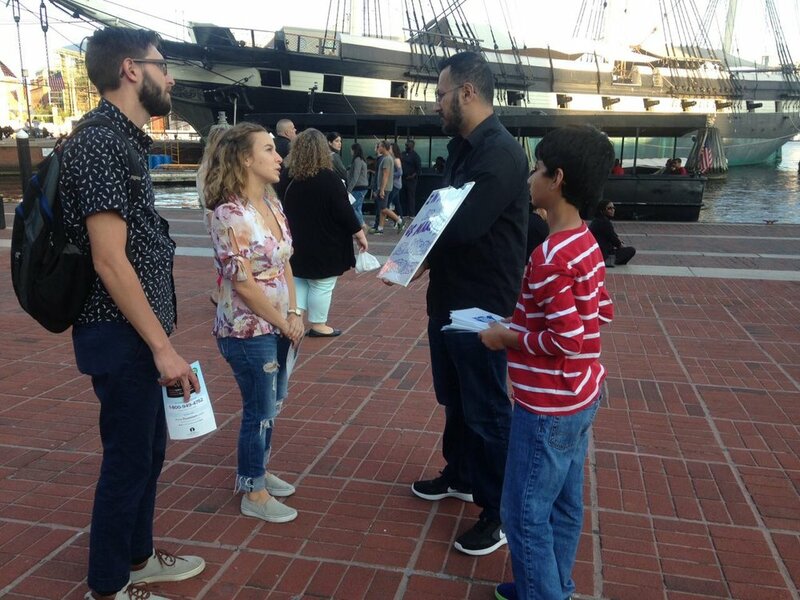 This Saturday, the youth auxiliary of the Ahmadiyya Muslim Community held a nationwide "Meet a Muslim" day. 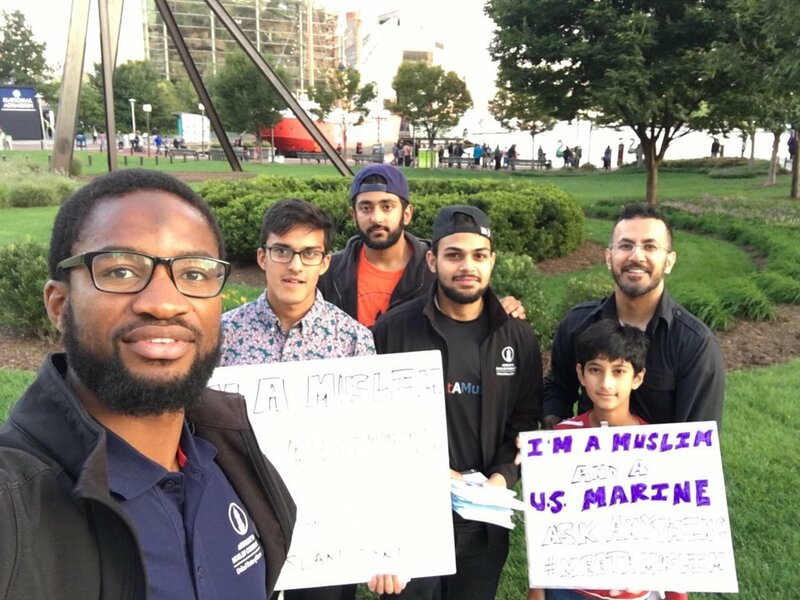 Our Baltimore chapter took to the streets of the Inner Harbor, and since it was so fitting, I brought out the Muslim Marine sign. 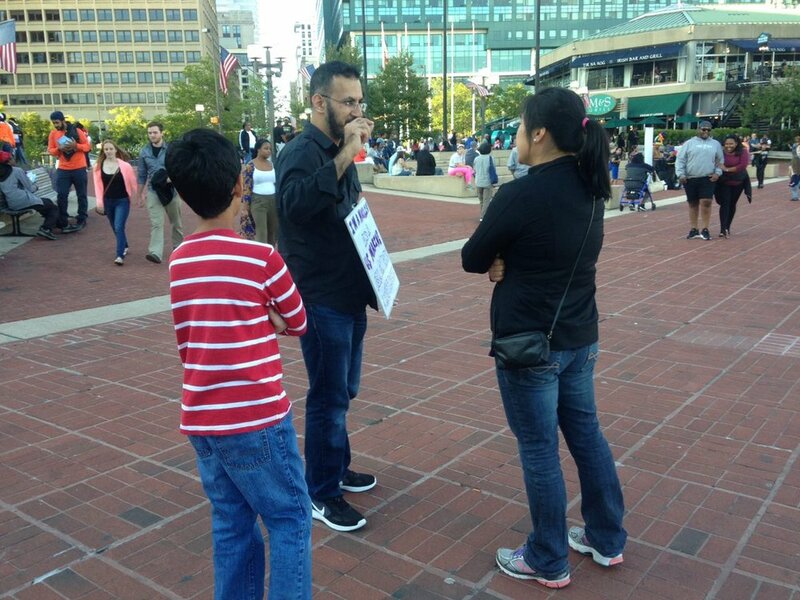 It felt good to talk to fellow Baltimoreans about Islam, especially with my Muslim brothers by my side!